I’ll be completely honest, when the trend of babymoons first took hold in the parenting realm, I laughed. Really? 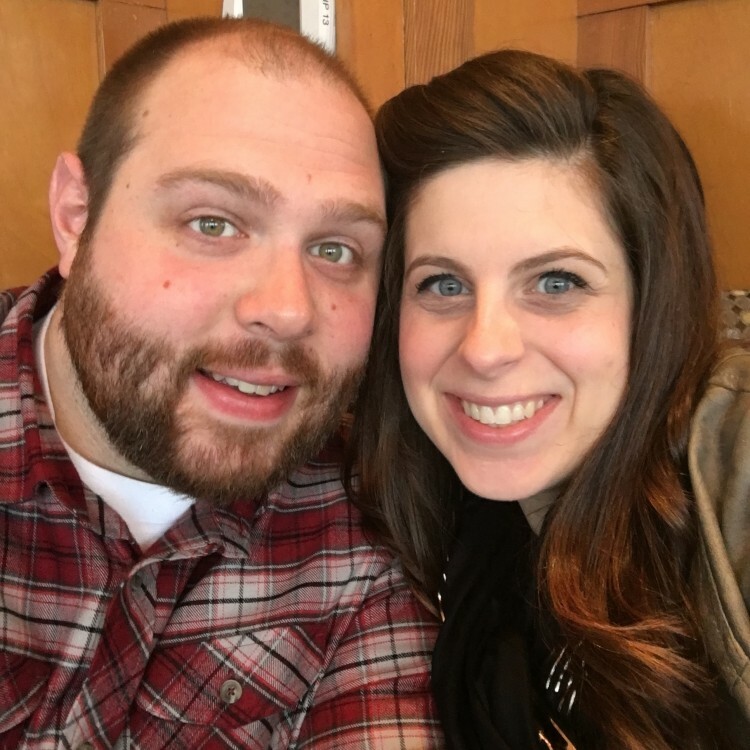 a pre-baby getaway? Isn’t there enough hurrah and excitement in the months before baby without trying to squeeze in a mini vacation? And then I went on one. And my tune changed. Babymoons, a honeymoon type adventure before baby, are a must! When I was pregnant with Jemma, an October baby, things timed well for Dominic and I to getaway in August for our anniversary. But we just called it an anniversary trip. With Max, Jemma was still a baby so going away wasn’t on our radar. But this baby, I was mega intentional about planning our babymoon. I knew we needed it. In the past, Dominic and I have both struggled during the postpartum season. We’ve had sleep deprived fights and stress over money/chores/childcare/you name it … all topped off with my basket of postpartum emotions. When I returned to work after Jemma and when we were in the middle of moving after Max we disconnected in so many ways and life after baby sucked. Well, we loved it too. But it was hard. Babies are hard. Hormone regulation is hard. Adding people to your family and helping everyone adjust is … you guessed it, hard. So, we’ve struggled twice now and have both committed to making this third postpartum experience our best yet. Before, we didn’t want to admit that it would be rough. We are capable adults who love one another so how could a tiny baby rock our world and make us question our sanity? Obviously, we were naive. Maybe we still are, to think that saying things will be better this time will make them better. Regardless, we’re being as proactive as we can and that’s gotta count for something. For us, intentionality in our postpartum success starts before we launch into that lovely life — HELLO BABYMOON! Dominic and I were blessed to escape north to Kirkland this last weekend. I overgrammed and don’t care one bit. 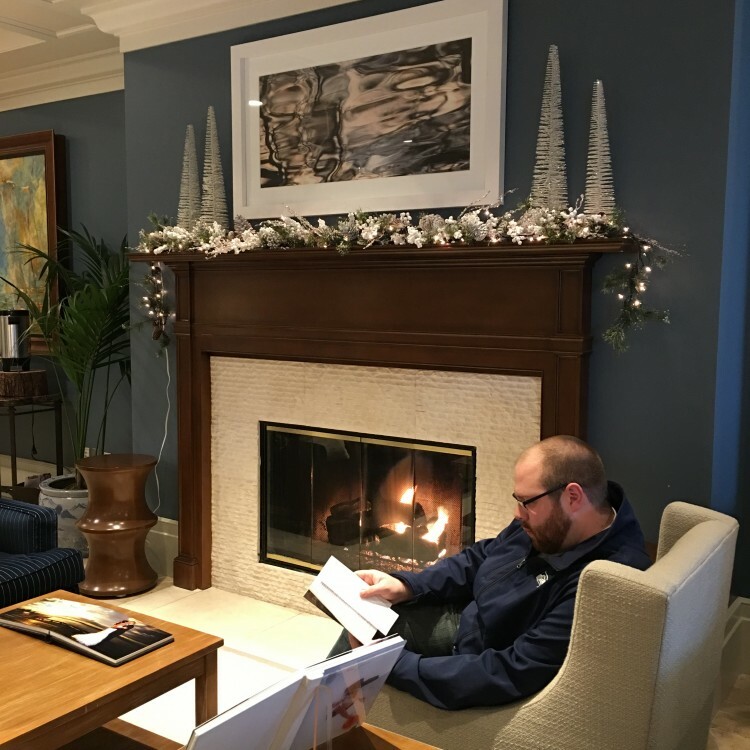 It was amazing and The Woodmark Hotel was a true gem. As the only hotel on Lake Washington, The Woodmark Hotel on Carillon Point is a unique property with gorgeous views, great staff, fun amenities, and delicious food. Top notch and the perfect destination for our babymoon. We checked in on Friday night and were promptly greeted by Woody Meg (all her people friends). What a sweetheart and an ode to the pet friendliness of The Woodmark. Dominic settled our things into the room, we got a brief tour (this place is a stellar wedding and event venue! ), and then I skipped my way down to Still Spa. This mama was pampered with a manicure and pedicure. Like, pampered to the max! The calm and quiet of Still Spa was divine and I read (such a winner book! ), visited, snacked, and relaxed for 2 hours. 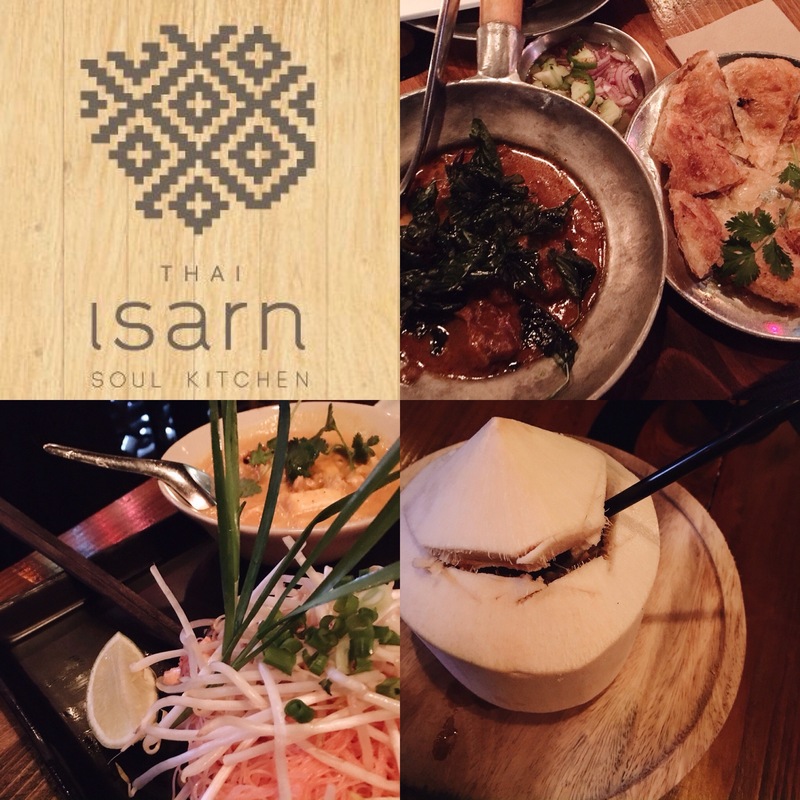 I probably could have fallen asleep for the night, but managed to rouse up enough energy to head downtown with my stud for dinner at Isarn Thai Soul Kitchen. Thank you Still Spa staff for helping this mega pregnant mama feel extra special! When Dominic and I were first married he would have cried at the thought of Thai, but over the years he has become so adventurous and welcomed something new for dinner. Our waiter at Isarn walked us through all the menu highlights, it was so hard to decide what to try! I opted to start with water while Dominic jumped on the Basil Martini (boo hoo for me!). But then, a miracle happened! Our waiter told me about their famous non-alcoholic drink — fresh coconut water served straight out of a coconut. I’ve never been fond of coconut water, but he said it’s because I hadn’t had the real thing, so I said okay! Folks, run to Isarn and get this coconut magic drink. Seriously, it’s my new pregnancy/forever craving! Beyond amazing! Our meals were fabulous too – Mini Wings, Lamb Massarun With Roti, and Noodles With Coconut Milk. It was all fancy and fresh and we left so full and happy after topping everything off with a scoop of coconut ice cream. We walked and talked for a bit; sneaking a peek at all the fun shops in downtown Kirkland. Best of all, we strolled without the squabbles of children or the worry of them running into traffic. Amen and amen. 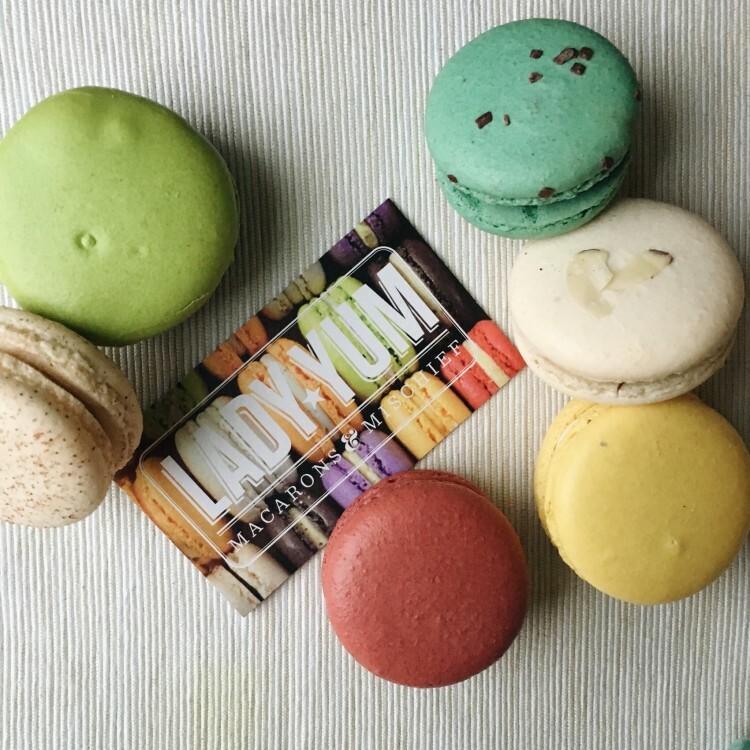 Even though we were stuffed plum full we popped into Lady Yum to pick up a macaron treat for Jemma, Max, and their overnight sitters, Mimi and Aunt Kiki. Yes, they are as beautiful as they are decadent. Our chic room, Raid the Pantry (the coolest hotel feature I’ve ever seen! ), the Pillow Talk menu (lavender for life! ), and the deep bath tub called us “home” so back to The Woodmark we went. I soaked and read for awhile while Dominic … fell asleep! 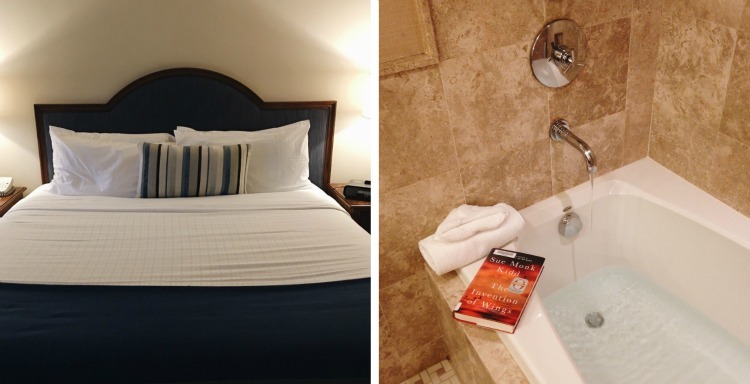 He’s the epitome of an awesome husband/tired dad who needed a babymoon escape in a bad way! We didn’t greet Saturday until 10am. TEN. IN. THE. MORNING. The last time we slept in that late was probably on our honeymoon. 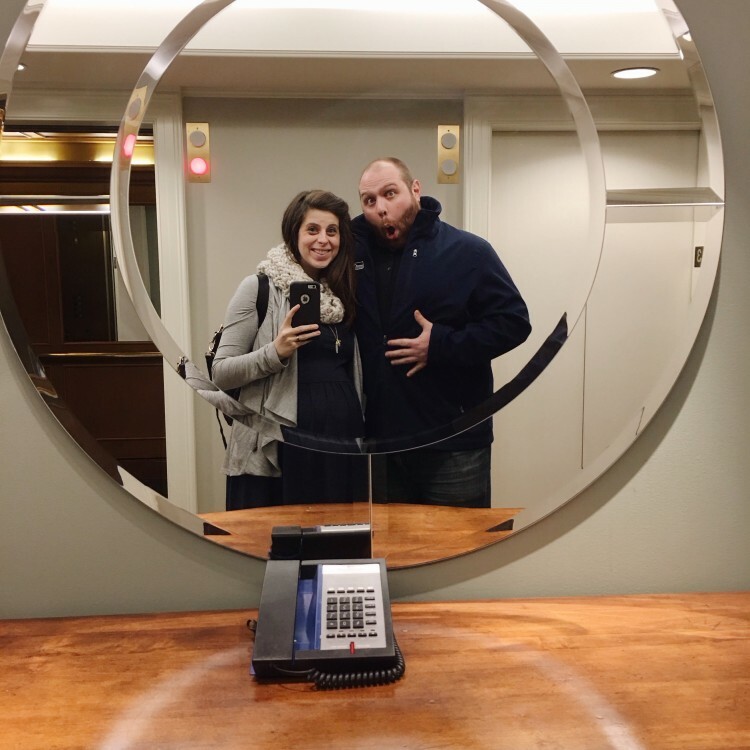 So, I suppose it’s only fitting that we’d experience that repeat luxury on our babymoon! We barely made it to breakfast at Beach Cafe and then bid adieu to The Woodmark. Tears. Next baby (see me subtly planting that seed in Dominic’s mind? ), we’ll aim for two nights away for sure. We planned a few errands on our way back south that had been pestering our to do list for months. Because, honestly, when you’re married and you have a quiet day together, errands feel like the ultimate date. We were alone, digging deep into conversations about life, AND accomplishing things we needed to do. It was the ultimate! This is the biggest thing for us. When you’re home there are always things you should be doing. But, when you escape, you are forced to relax, visit, and let go. Every marriage needs that. Time away is truly a gift and always worth the effort. Going away puts things in perspective. Dominic and I can totally stress each other out. We’re opposites and although we attract and complement one another, we also … combust at times. Being away, just the two of us, like it was for so many years, reminds me of how great he is. How great we are together. How great we are going to continue to be as we rock this parents-of-three world. Stepping away from the norm gave us a fresh perspective, a much needed perspective. It is no wonder all the marriage experts say date nights and time alone is a must! Being parents is all about being responsible. Day in and day out … do the right thing, the adult thing, the things that make you super exhausted. Responsibility (or, more the outcome of being responsible) is fun sometimes, but not usually. We make sacrifices on the daily and do that whole dying to self like it’s going out of business. So, where is the carefree fun of our younger days? I’ll tell ya! It’s just waiting to be given a day on the family calendar! Babymoons are fun and when you’re a grown up, you’re allowed to have fun. Plan it, enjoy it, live it up! You deserve it! Have you experienced a babymoon? Where did you go and what was it like? Do you agree that they’re totally awesome and essential? Parts of our babymoon were courtesy of businesses in the downtown Kirkland area. 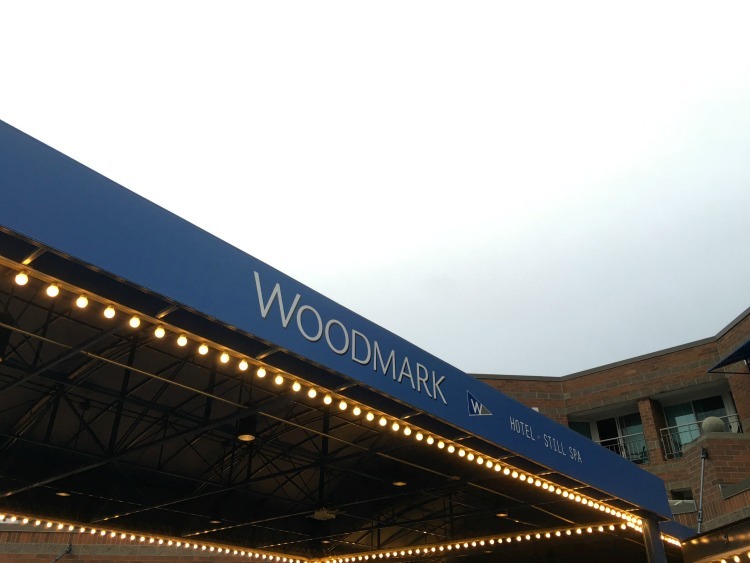 A big thank you to Woodmark Hotel & Still Spa as well as Isarn Thai Soul Kitchen for making our babymoon a wonderful success! Visit them online (here and here) and be sure to stop by next time you’re in the Kirkland area! I have always wanted to stay at Carillon Point, but it seems silly since it is only 20 minutes from home. You’ve changed my mind though! We struggle with the post-partum season of marriage (and then again in toddler season) too. Just knowing that and making time to deal with that – or at least acknowledge it – really helped with #3. I hope you have a similar experience– or, if you don’t, at least you have the knowledge that this is a season and there’s nothing wrong with you guys! !